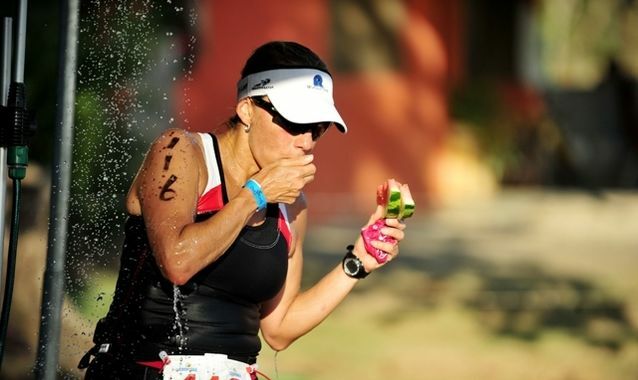 5 golden rules for using energy gels. The energy gels, supplements are in the form of a viscous substance (gel) with a high content of simple carbohydrates the main objective will be to provide energy quickly. While the energy we use to run can come from fat, when run at high speeds, the largest single energy intake come from muscle glycogen and liver (how stored carbohydrates). Energy gels are used as a simple and quick to provide us with carbohydrates that can function as fuel to supply energy while we run. The goal is to try to avoid consuming ice that depleted glycogen stores and allow our body to have enough energy to allow us to keep running. Of course, because carbohydrates we consume energy gels become energy that our body can use, it is necessary to comply with a series of processes that take time. Like any other supplement, to make the most of your benefits, you should use energy gels to comply with some golden rules. The first rule of thumb to use energy gels, probably the most violated by most novice runners, do not use any supplement without ever trying it on before your workouts. Energy gels can be of great help for the long runs, but can cause stomach upset in sensitive many runners. We use the training to try to energy gels will use the day of the race. Fortunately there are many brands and flavors to try, so if you generate a nuisance not give up and try another workout (no more than one try for training). We recommend that you do some testing of simulation training as there recrearás some of the conditions in which you compete in someterás. Remember, in many sporting events (before and during) delivered food, sports drinks and even ice, not tempted to eat them without having them tested. The glycogen stored in our muscles is exhausted after approximately 90 minutes of running at a high rate as stand carbohydrates before this time is unnecessary for most runners. Use energy gels in races or workouts short, is a big mistake because it has little sense to consume extra energy you have when your body does. So remember to avoid the consumption of energy gels in short races, which has proven to perform mouth washed with carbohydrates can be a very effective technique that ensures you have no stomach discomfort and avoid consuming unnecessary calories. The energy gels should always be accompanied consumed water and should never be consumed without any accompanying liquid. Without water, energy gels will take longer to be digested and enter the bloodstream. Furthermore, in advanced stages of a race where the physical and mental exhaustion is high, the taste of the ice can be extremely concentrated really hard they can swallow. Do not commit the mistake of consuming sports drinks with because disminuiràs its rate of absorption, correràs the risk of ingesting too many carbohydrates that can not be utilized by the body and increase your chances of stomach discomfort. Although energy gels provide quick energy, that does not mean it's immediate energy. Like any food or liquid that consume energy gels need to be digested before passing into the bloodstream and can begin to be used. Each runner absorbs carbohydrates and processed at different rates, some may feel the effect after 5 minutes, while others can take up to 15 minutes. This variation in the rate of absorption is related to the degree of efficiency of the stomach in the digestion of carbohydrates and type of carbohydrate that is made with ice. It is important to note that the higher the stress that your body undergoes while you run (as when run at high speeds), stomach tend to diminish its effectiveness for processing food. Your body has the ability to absorb a limited amount of carbohydrates, so consuming more of ice time will not improve your performance. Given that, it consumes a gel and it allows your body to digest, absorb and processed; therefore usually recommend no less than 40/50 minutes between each gel. Article taken from the web Runfitners.